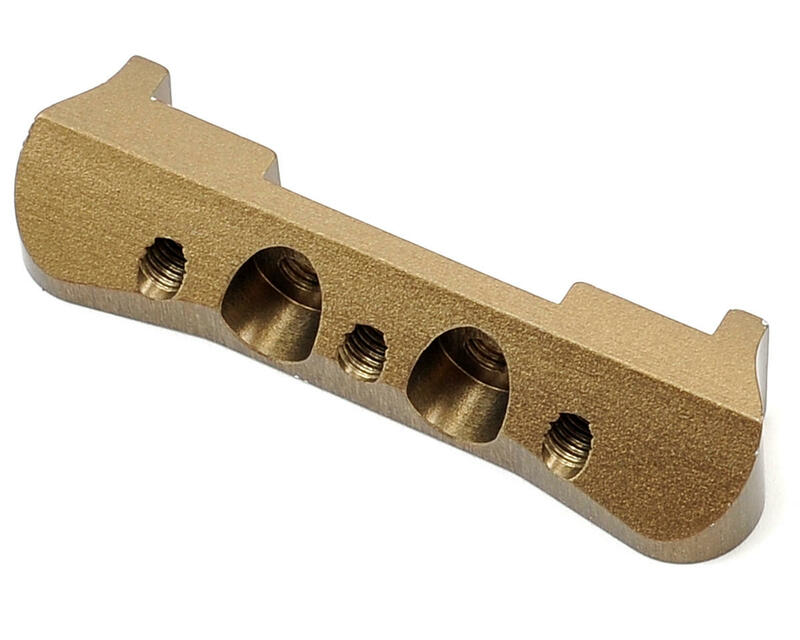 This is an optional Team Durango 3° Aluminum Type B Rear Suspension Hanger. This 3 degree aluminum rear-rear suspension hanger is precision manufactured to provide increased strength and durability when used with the Type B DIMEC chassis range. TDR320230: DEST210R & DEST210RTR – Same length as kit chassis. TDR320231: DESC210R & DESC210RTR – Same length as kit chassis. TDR320248: DEST210R & DEST210RTR – Same length as kit chassis. 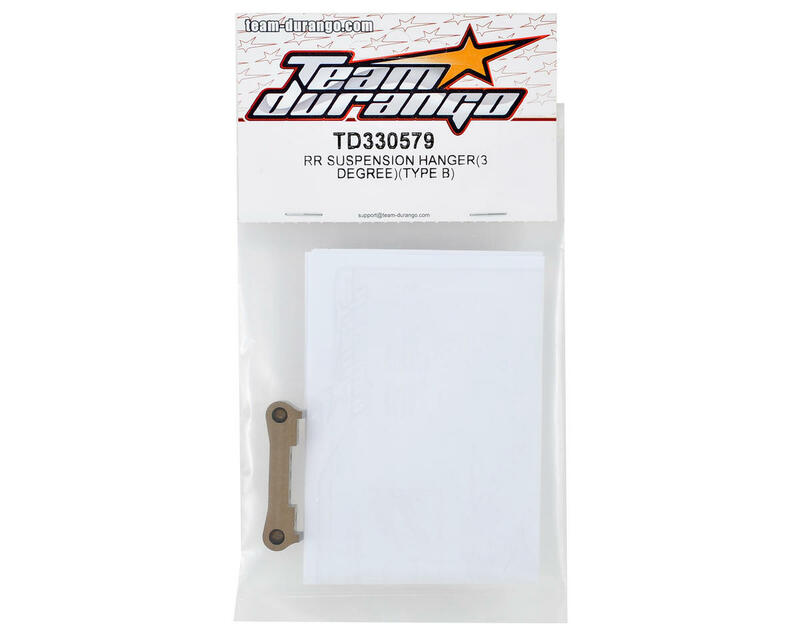 TDR320249: DESC210R & DESC210RTR – Same length as kit chassis. TDR320229: DEX210 & DEX210RTR – Same length as RTR kit chassis and +8mm longer than DEX210 kit chassis. TDR320247: DEX210 & DEX210RTR – Same length as RTR kit chassis and +8mm longer than DEX210 kit chassis.